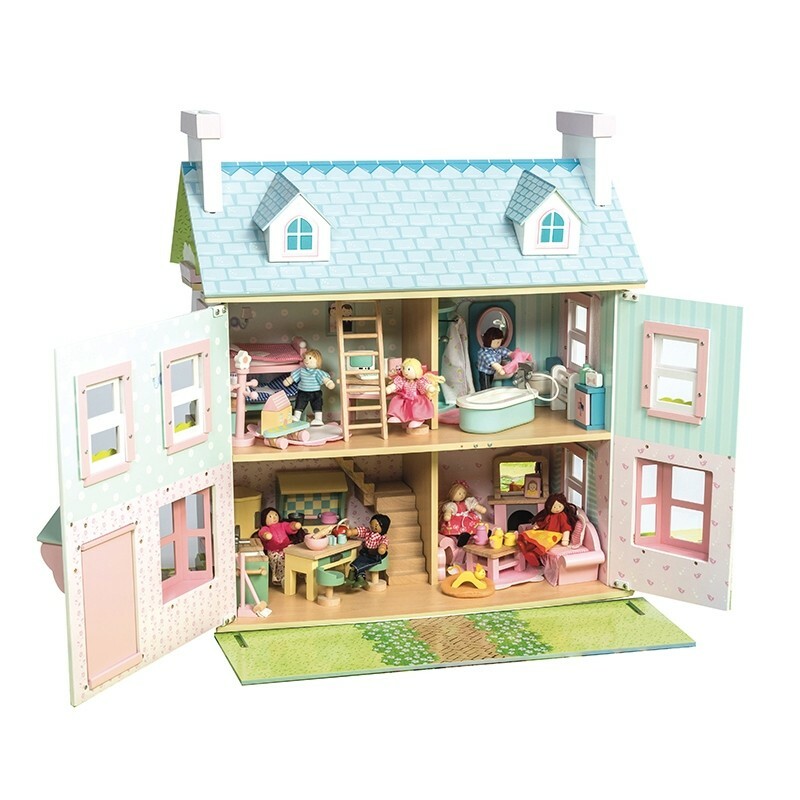 A deluxe fully painted and decorated large 3 storey doll's house with attic windows and chimney stacks. 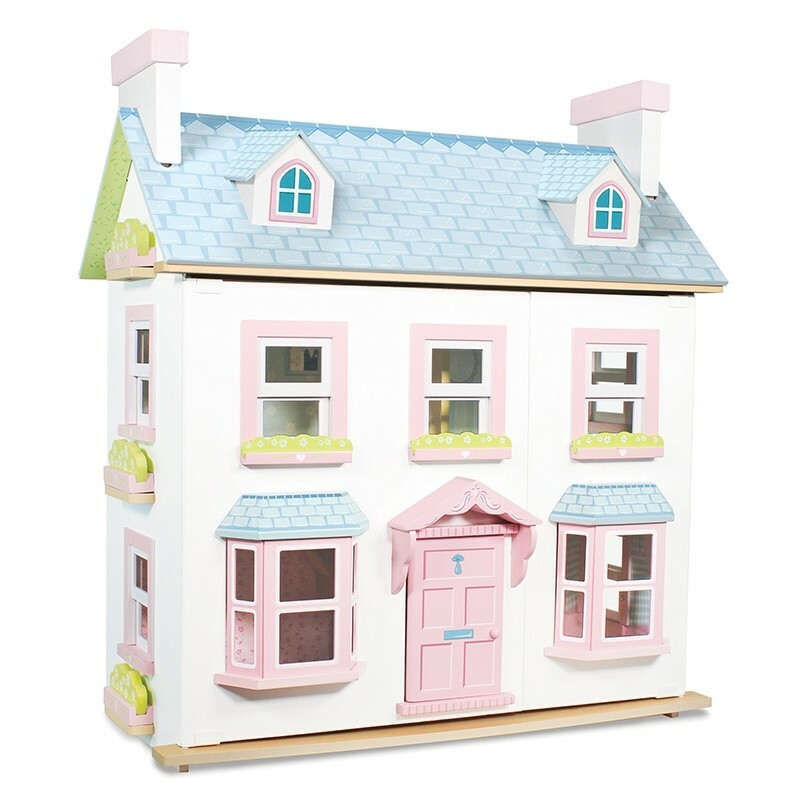 Features include large bay windows, room dividers, a loft ladder, opening sash windows and a reversible roof panel to form a garden path. 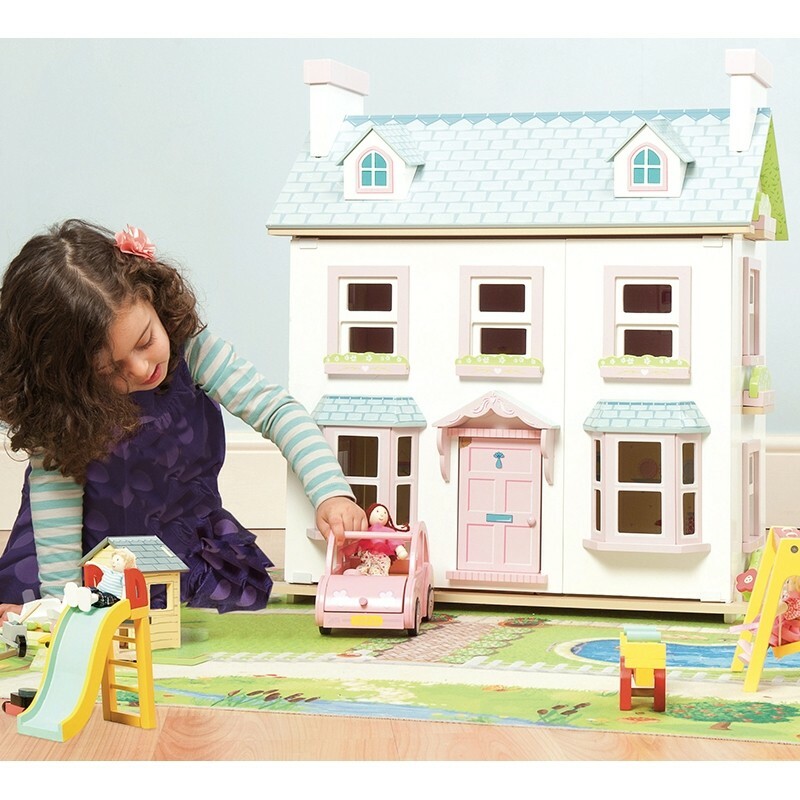 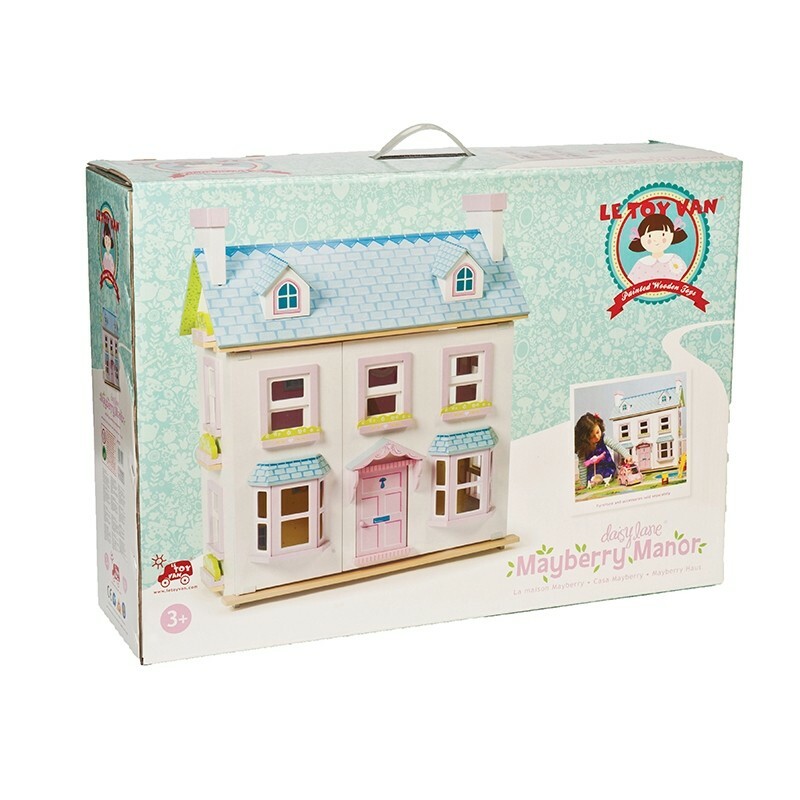 Dolls and furniture sold separately- choose from the extensive collection of Le Toy Van doll's house furniture sets, dolls and accessories.